We made some changes to the calendar. You will note that the Four Chambered Heart workshop has been moved to December 6-8, 2013. In addition, A Crystal Integration workshop has been scheduled at a new date in September. We will meet for the Crystal Integration September 13-15, 2013. The Crystal Integration workshop is designed to support greater attunement with yourself and with the crystals. It should be a wonderful workshop to journey to your soul's intention. The Four Chambered Heart is an integration workshop for the medicine wheel. Those that have completed 3 or the 4 workshops on the medicine wheel will find this workshop will support your synthesizing the entire wheel within yourself. 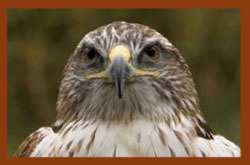 The October Hawk Medicine workshop is sold-out. A waiting list has been established. I encourage using the waiting list as it is common for "life to happen" to some people resulting in their withdrawal. Looking forward to a spectacular 2013.